Hexylene glycol functions as a surfactant, emulsifier, and a viscosity-reducing agent in many different cosmetics and personal care products. Hexylene glycol, also known as 2-Methyl-2,4-pentanediol, is an organic compound that can be classified as a glycol. Glycols are a class of alcohols that contain two hydroxyl groups, which can also be called a diols. Hexylene glycol is a clear, hygroscopic liquid with a mild, sweet odor. Hexylene glycol can also be synthetically produced. It is manufactured by the condensation of 2 molecules of acetone to produce diacetone alcohol, which is further hydrogenated to produce hexylene glycol. This is then purified by distillation. Hexylene glycol is used in the formulation of hair and bath products, eye and facial makeup, fragrances, personal cleanliness products, and shaving and skin care products at concentrations ranging from 0.1% – 25%. 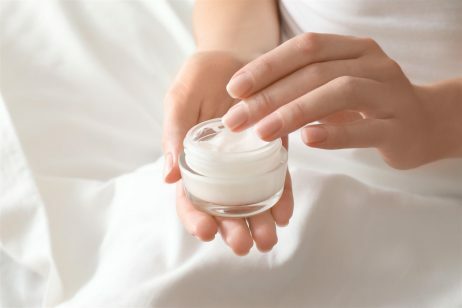 Hexylene glycol is added to cosmetics and personal care products based on its functions as a surfactant, an emulsifier, and a viscosity-reducing agent. Surfactant is the short term for surface active agent. Surfactants are compounds that lower the surface tension between two substances, such as two liquids or a liquid and a solid. In skin care products, surfactants work to degrease and emulsify oils and fats and suspend soil, allowing them to be washed away. This is possible because while one end of the surfactant molecule is attracted to water, the other end is attracted to oil. Thus, surfactants attract the oil, dirt, and other impurities that have accumulated on your skin during the day and wash them away. Due to these properties, hexylene glycol can be found in many different cleansers and body washes. Hexylene glycol also functions as an emulsifier. An emulsifier is needed for products that contain both water and oil components, for example, when oils are added to a water-based formula. According to EFEMA, when water and oil are mixed together and vigorously shaken, a dispersion of oil droplets in water (and vice versa) is formed. When shaking stops, however, the two phases start to separate. To address this problem, an emulsifier like hexylene glycol can be added to the system, which helps the droplets remain dispersed and produces a stable emulsion. As an emulsifier, hexylene glycol consists of a water-loving hydrophilic head and an oil-loving hydrophobic tail. The hydrophilic head is directed to the aqueous phase and the hydrophobic tail to the oil phase. Once again, hexylene glycol reduces the surface tension by positioning itself at the oil/water or air/water interface, which has a stabilizing effect on the emulsion. Finally, hexylene glycol functions as a viscosity-reducing agent. The term viscosity corresponds to the concept of “thickness”, for example, honey has a higher viscosity than water. As a viscosity-reducing agent, hexylene glycol works to thin out heavy formulations and create a thinner, more spreadable product. According to EWG, hexylene glycol is rated as a 1 on a scale of 1 to 10, with 1 being the lowest health risk and 10 being the highest. The safety of hexylene glycol has been assessed by the Cosmetic Ingredient Review (CIR) Expert Panel. 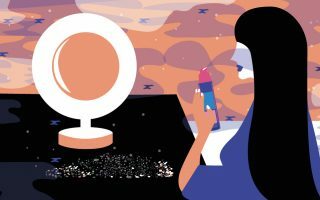 The CIR Expert Panel evaluated the scientific data and concluded that hexylene glycol is safe for use in cosmetics and personal care products. Despite the approval by the CIR Expert Panel, hexylene glycol can be an irritant, especially at higher concentrations. As a class, the glycols can produce mild to severe ocular irritation with hexylene glycol producing the most severe irritation. According to Cosmetics Info, a number of product formulations containing these glycols at concentrations up to 21.4% have been tested in various human skin irritation and sensitization assays. The degree of irritation produced depended upon the particular product. Furthermore, there was no correlation between the degree of irritation and the concentration of the glycol present in the product. There were no reactions indicative of skin sensitization to these glycols in any skin sensitization assays and no suggestions of phototoxicity or photosensitization. A study published in the journal Contact Dermatitis examined the effects of hexylene glycol when used by people with eczema and concluded that the presence of hexylene glycol did not cause a significant increase in irritation. References for this information: Wikipedia, “2-Methyl-2,4-pentanediol”, Journal of the American College of Toxicology, Volume 4, Number 5, 1985 , Contact Dermatitis, “Skin Reactions to Hexylene Glycol”, September 1989, EFEMA, “What is an emulsifier?”, EWG’s Skin Deep Cosmetic Database, “Hexylene Glycol”, Cosmetics Info, “Hexylene Glycol”.